It’s safe to say that the eagerly anticipated premiere of “Game of Thrones'” eighth and final season is a significant cultural moment. So, it’s no surprise that brands have jumped aboard the dragon wagon to capitalize on the hype. 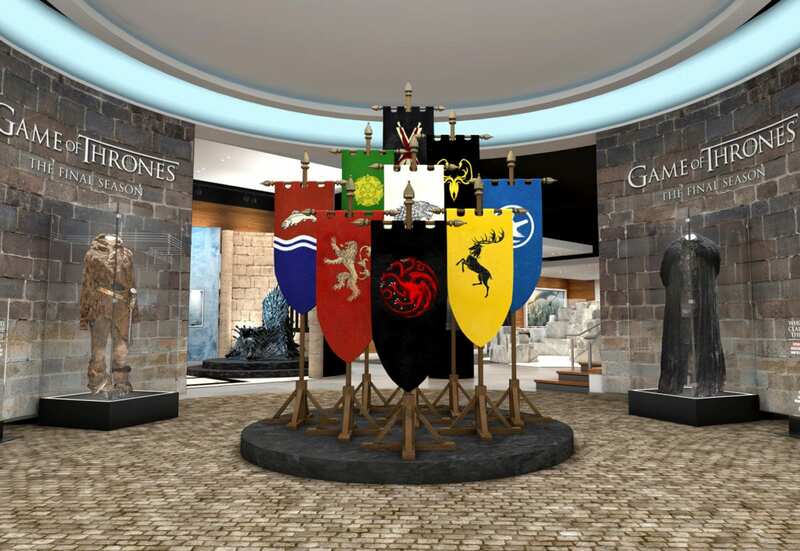 From a search for icy-white Mountain Dew cans that reveal Arya Stark’s kill list when chilled to HBO’s own global scavenger hunt for hidden Iron Throne replicas, GoT-themed marketing and experiences abound. 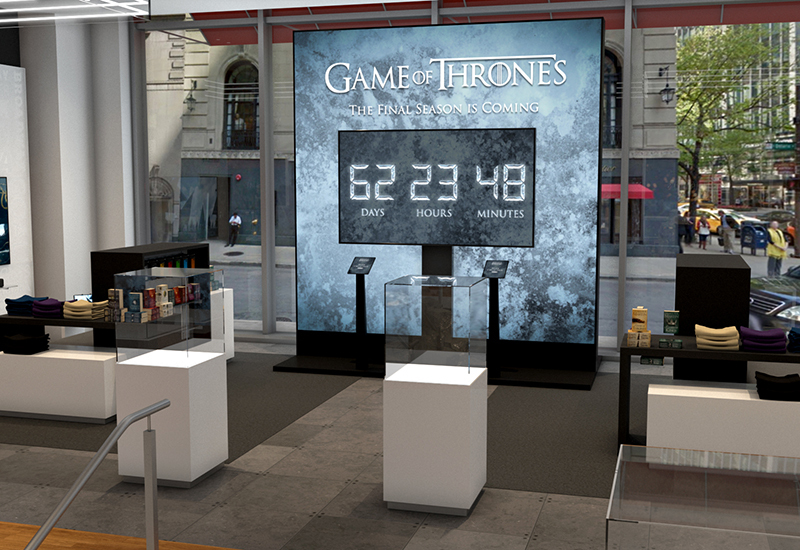 Here’s a look at how HBO and other brands are engaging consumers in experiential marketing leading up to the final season’s April 14 debut. 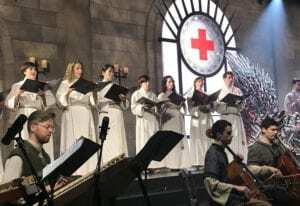 At HBO’s SXSW activation, attendees were treated to a rendition of the series’ famous theme song from a live orchestra and choir. Using its multi-phased campaign platform #ForTheThrone as an anchor, the network has asked fans—and brands—how far they will go for the throne as the season premiere approaches. The campaign’s website features a trio of calls-to-action: “bleed,” “quest” and “create.” Fans were able to “bleed” for the throne by donating blood at HBO’s immersive experience at SXSW, March 7-9, or through its national blood donation campaign the series launched in partnership with the American Red Cross (Giant Spoon and Droga5 handled). GoT fans across the country who dressed up as the series’ characters and gave blood were entered in a contest to win a trip to the season eight world premiere. Moreover, The American Red Cross announced April 1 that it’s continuing the partnership with HBO by giving fans and donors the chance to win a full-size Iron Throne. Fans could embark on a “quest” for the throne by participating in a stunt scavenger hunt for six replicas of The Iron Throne planted in remote locations across the globe. The only clues that gave insight into their whereabouts were 360-degree videos on its microsite, each an hour long, starring the lone throne in a remote clime with very few surroundings details. Fans who discovered them and tweeted about them were featured on the “Game of Thrones” twitter feed. Locations of the thrones included Spain, Sweden, Brazil, Canada, the UK and New York. The latter was teased with the clue, “A new city flying a starry banner seeks protection from the Great War.” The fan who discovered it recognized the stone structure in the video as the former military base Fort Tilden in Queens, NY. Once the word got out, fans waited in a line for up to three hours to take a seat and snap a pic. Finally, fans are able to “create” for the throne by producing fan art for a chance to be featured on “Game of Thrones” channels. Serving as inspiration to fans, HBO asked 18 international artists in the fields of sculpting, painting and woodworking to each reimagine a replica prop, such as a dragon skull or a White Walker Ice Sword, through the lens of a specific character or storyline. The collections, revealed to fans through social channels and the microsite, included each artist’s vision. A collection of 18 official #GameofThrones show props reimagined by 18 artists from around the world. What will you Create #ForTheThrone? Another brand employing the stunt scavenger hunt tactic is Mountain Dew. Focusing on the storyline of Arya Stark, who must become “no one” and have “no name” as part of her training to become an assassin, the brand created limited-edition cans that have… no brand. These icy white cans are faceless, like Arya, but once they are chilled, the assassin-in-training’s kill list appears on the face of it. Consumers must follow the clues Mountain Dew pushes out on social media to find the cans. For instance, the tweet below provides a map with a few locations in Los Angeles where the cans can be found April 5. Another way for fans to get a can is by tweeting what they’d sacrifice #ForTheThrone, using the hashtags #ACanHasNoName and #MTNDEWSweepstakes. Agencies: Motive, Denver; Golin, New York City. AT&T offered a “Hold the Door” moment with actor Kristian Nairn from the series. 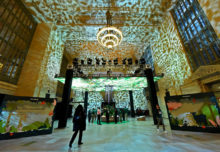 HBO parent company AT&T invited fans to its flagship store in Boston on April 2 for a chance to attend the red-carpet premiere on April 3 at Radio City Music Hall in New York City. Sweepstakes winners boarded HBO’s “Dragon Wagon,” a luxury bus wrapped in “Game of Thrones” imagery, the morning of the premiere. Once they arrived, attendees took in the excitement of the red carpet from an adjacent, designated fan zone, and then attended a screening of the first episode. Nearby, a giant replica of the Iron Throne sat at Rockefeller Center, inspiring pics (not seated, this time) from tourists, fans and passersby. In addition to offering a sweepstakes, AT&T’s Boston location had its own Iron Throne as well as a “Hold the Door” moment with actor Kristian Nairn, who plays the character Hodor. The star took photos and greeted attendees at the start of the activation while “holding the door.” Fans also got the chance to demo “The Dead Must Die,” a Magic Leap Encounter, an augmented-reality experience in which attendees encounter a White Walker using a Magic Leap One headset. The nightly show at the Bellagio Fountain in Las Vegas is a popular attraction on its own. Add “Game of Thrones” iconography to it, and it gets a lot more spectacular. From March 31 through April 13, the fountain is giving a three-and-a-half-minute show featuring a special score by the series’ composer Ramin Djawadi, projections of falling snow, The Wall, the GoT logo, silhouettes of dragons, the shadow of the Night King and pyrotechnics. At the show’s conclusion, flames cover parts of the Bellagio’s lake, signifying the destruction that the immanent Great War will bring.